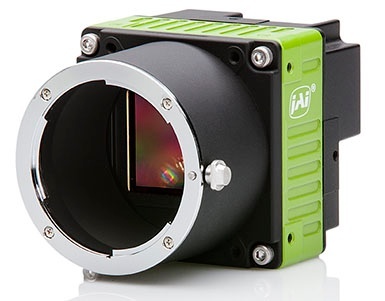 Catch the action at sporting events with JAI’s Spark Series cameras....Intel's innovative True View™ 360-degree replay system features JAI's Spark SP-20000. Approximately 18 months after a successful launch at the February 2017 Super Bowl football game, Intel's innovative True View™ 360-degree replay system featuring JAI's Spark Series SP-20000 cameras has now been installed in 11 NFL stadiums across the United States. Each vision system features 38 of the 20-megapixel SP-20000-PMCL color cameras mounted around the upper level of the stadium, enabling the continuous capture of high resolution video from every angle. This video is processed into a 3D database that allows fans to see replays of the on-field action from any angle, including the ability to move through and/or rotate around the replay similar to the special effects used in motion pictures. 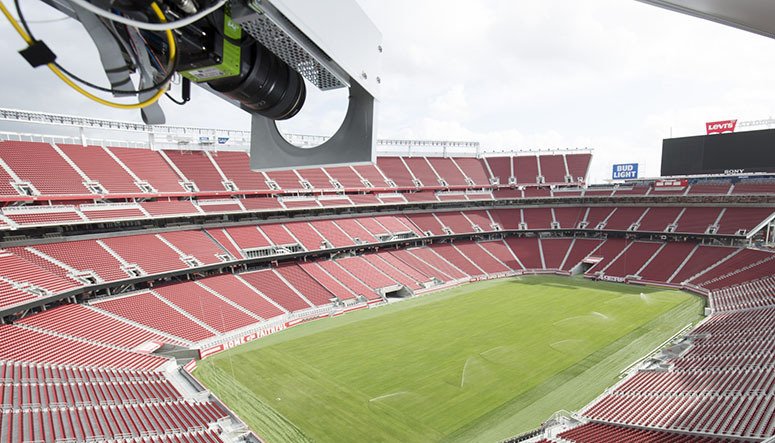 The system was originally developed by Replay Technologies, a Tel Aviv-based imaging company which partnered with Intel for the necessary computing power needed to run the initial Super Bowl system in Santa Clara, California, as well as other installations at tennis, soccer, and basketball events. Intel acquired Replay Technologies in March 2016, naming Replay CTO Matteo Shapira to the post of senior director of innovation and technology, immersive reality/sports at Intel. JAI's SP-20000 cameras provide the image capture for all of the NFL systems which have now been installed in the home stadiums of the Arizona Cardinals, Baltimore Ravens, Carolina Panthers, Cleveland Browns, Houston Texans, Indianapolis Colts, Kansas City Chiefs, Minnesota Vikings, New England Patriots, Washington Redskins, and the San Francisco 49ers -- site of the original Super Bowl system. Update: Since this story was published, the True View system has been installed in two additional stadiums - home fields for the Tennessee Titans and the Atlanta Falcons, the latter of which will be the site of Super Bowl LIII in February 2019. Color imaging quiz: Can you match the images with the correct machine vision application?